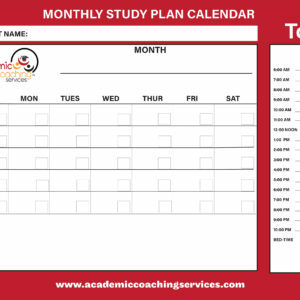 This multifaceted study planner is designed to help you strategize and track your study goals. It has vital tools to help you maximize your study time. Forgetting assignments will be a thing of the past. Start this semester right! 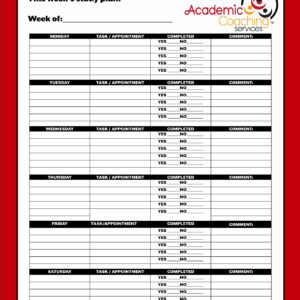 Get organized with this strategic study planner. This is not an ordinary planner. It is packed with useful tools and tips. This dynamic planner is sleek and durable. This strategic planner contains a yearly, monthly and daily calendars. Weekly calendars are embedded with daily schedules and places to list, prioritize, and track your goals. As an added bonus, this planner goes well with my unique habit tracking system and dry erase wall calendars. 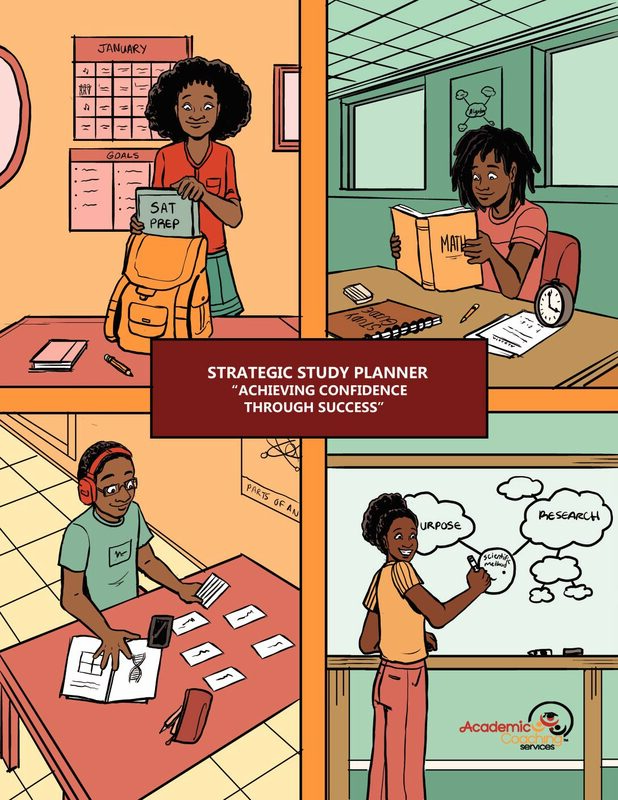 Order your Strategic Study Planner now.